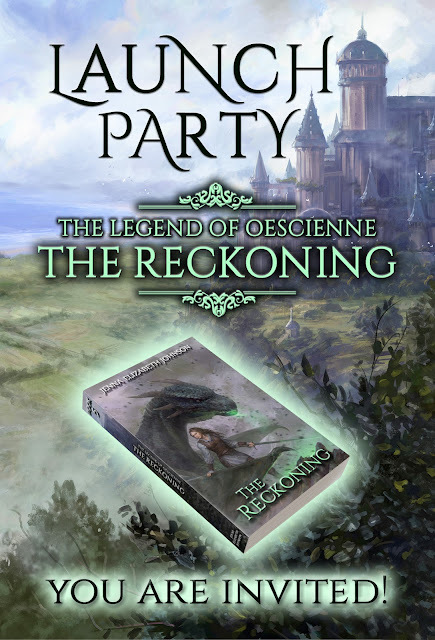 Great News for the Legend of Oescienne Series! In July, I entered my entire Legend of Oescienne series into the 2018 Literary Classics Book Awards. 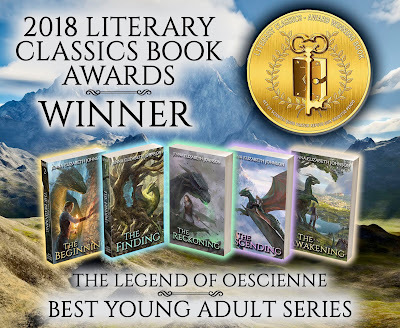 Earlier this month I learned it was one of the finalists, and just a few days ago I got the news that the Oescienne series had won Best Young Adult Series! I'm thrilled to bring this news to you and am pleased to announce I'll be taking part in the 2019 Great American Book Festival and the Literary Classics Awards ceremony this coming May. I'll be sure to share more information as that date gets closer. Until then, I want to thank everyone who has supported me and this series over the years :). 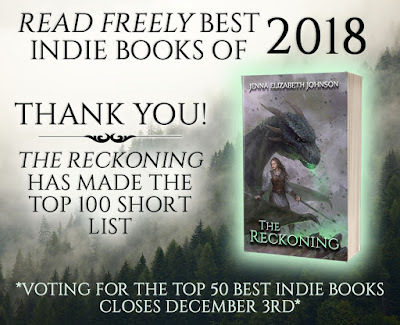 THE RECKONING HAS MADE THE TOP 100 SHORT LIST FOR THE READ FREELY BEST INDIE BOOKS OF 2018! 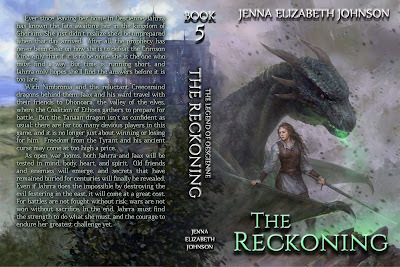 I just want to thank all my readers who voted to help The Reckoning make it to the finals! Read Freely is now asking readers to pick the best 50 books from these wonderful titles, and I'm hoping you'll take a moment, once again, to give The Reckoning some love. 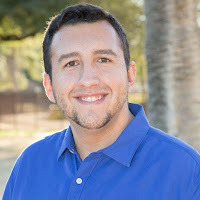 I'm including the link below for your convenience. 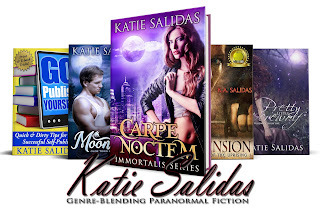 Thank you again and happy reading!!! Now available where ebooks are sold! 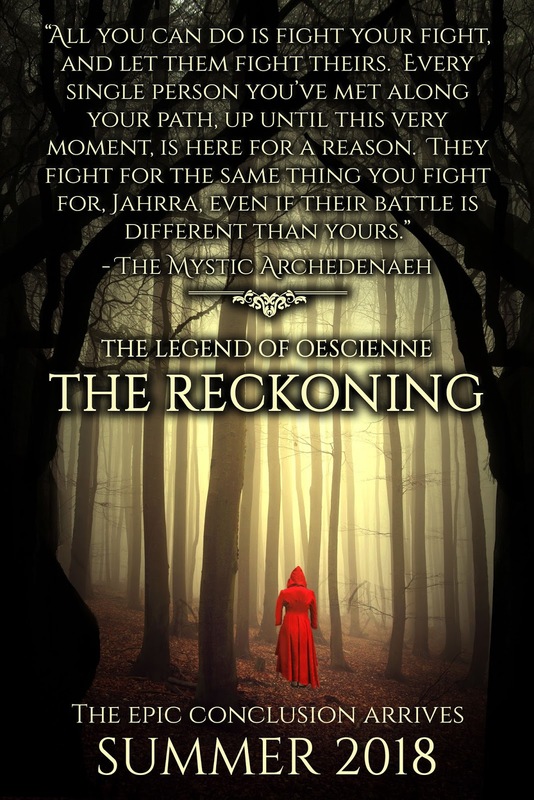 THE LEGEND OF OESCIENNE - THE RECKONING ... COMING SOON! 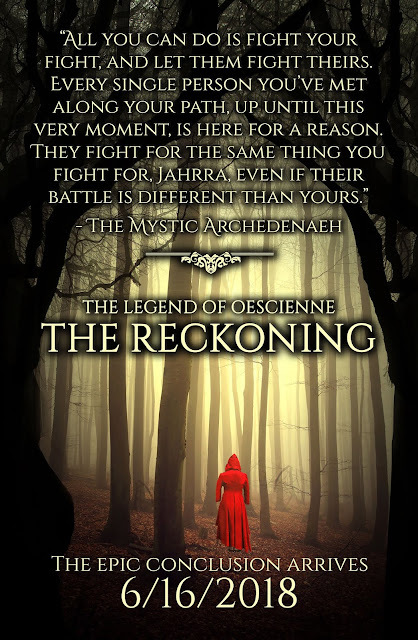 I haven't posted here in a while, but I've been busy with writing and all my other authorly jobs of late, but I hope you'll be pleased to hear I plan on having the fifth and final book in the Legend of Oescienne series out by the end of this summer (hopefully much sooner!). I don't have an exact date yet, but I'm getting close to finishing up the first read-through draft, and after that, things should go a little more quickly (depending on my editor's and Beta readers' schedules, of course). 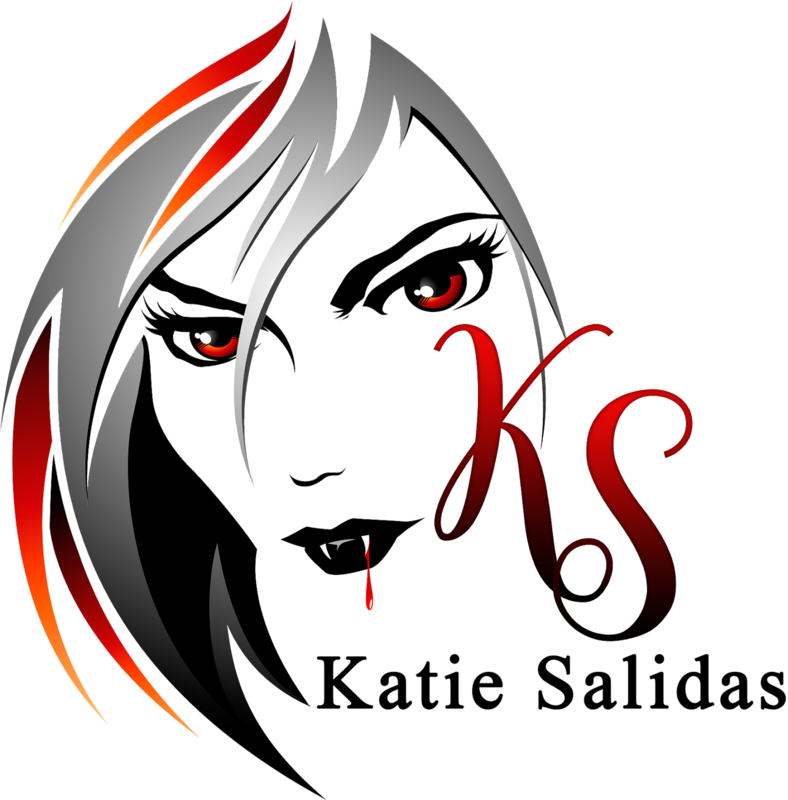 BUT, my awesome cover artist, Randy Vargas, has already begun work on the final cover and I've seen the rough draft (I love it! ), so things are starting to get real ;). 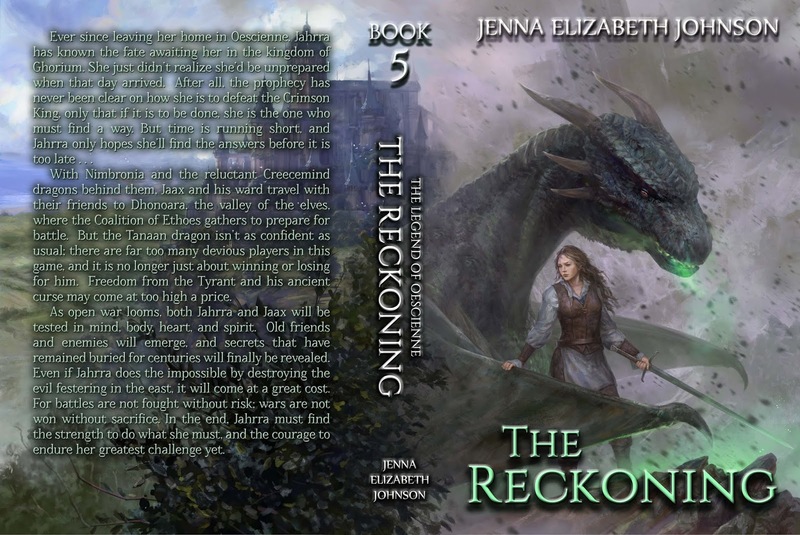 It's been a very long journey, and writing this final book has had its ups and downs (and is still having them), but in the end, I hope to offer you all an epic, and satisfying, conclusion to the series. Only time will tell! For now, here is the quote and a snippet I shared in my newsletter last week. Happy reading and stay tuned! Denaeh waited in the rocky outcropping above the campsite, her brilliant red cloak hidden behind a thicket of holly bushes as late afternoon light cut swaths through the lingering mist. Night was approaching, bringing with it the cold, and she had so badly wanted to kindle a fire to keep warm. But being so very close to Jahrra and her travel companions, she couldn’t risk being found out quite yet. Practically on their heels or not, she still did not know the identity of the third member of their party, the one with powerful magic who had been cloaking himself, or herself, since the Mystic first realized her quarry did not travel alone. You will know soon enough, she thought grimly. As much as she wished to uncover this stranger’s identity, part of her quailed at the knowledge. A mage that powerful could prove a true threat to her, and if this individual held the same opinion of Mystics that most did, then she had good reason to fear openly joining their party. Above, Milihn let out a quiet complaint. 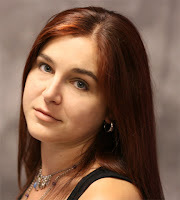 Denaeh tilted her head upward and pursed her lips. Or, she added to herself with a touch of foreboding, we’ll be dead and won’t care. 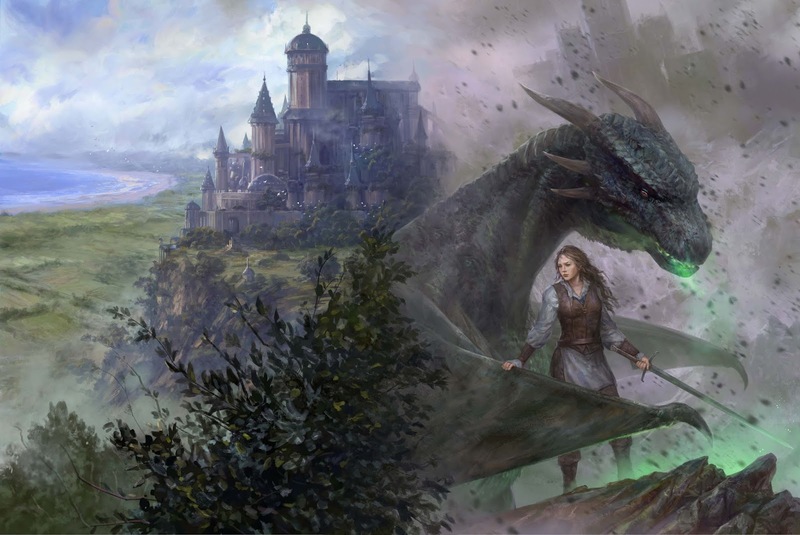 Sighing, Denaeh closed her eyes and cast her own magic out, the way she had done outside of Cahrdyarein and Nimbronia, using the elements to spy on the three travelers. Only three now because Jaax had taken a different road. At least she could find comfort in the fact that the brooding, tiresome dragon wouldn’t be present when she finally made contact. Knowing him and his shifty moods, he might just as soon burn her to a crisp before giving her a chance to speak. Tucking such dismal thoughts away where they couldn’t pester her, Denaeh returned her attention to the present. Her power tripped over tree roots as it headed downhill, zipping through veins of frozen water and creeping through solid stone. Eventually, it found the campsite she sought and Denaeh was given a murky view of a tiny crevasse in the mountainside. It was a good location to pass the dark hours of the night: veiled from the game path by trees and shrubs, as well as several tall slabs of granite. Black, charred wood still smoked in a rudimentary fire pit and sleeping rolls littered the ground nearby. Denaeh got the impression that all three inhabitants had gone off into the surrounding woods to hunt, scout, or take care of the typical evening ablutions. A further push of her magic proved as much. Jahrra was down by the creek, trying to get clean, her limbit friend nearby fishing for trout. Once again, she could not sense the third member of their party, but she imagined he was checking the perimeter of their camp. “If you want to search their packs, now’s the time,” the Mystic muttered to herself. Taking a deep breath to bolster her nerves, Denaeh descended the hill swiftly, stepping carefully to avoid tripping or making too much noise. Milihn glided past her on silent wings, searching for a perch so he might act as lookout. It took her nearly ten minutes to reach the floor of the narrow canyon and, casting one more sweeping glance behind her, she slipped into its mouth. A soft whicker drew her every muscle tight as a bowstring, but she relaxed when she noticed a trio of horses eyeing her curiously from where the canyon walls split to form the crevasse. No, not horses. A pack horse and two semequins. One was a brilliant, solid white, his intelligent eyes assessing her. The other she recognized immediately. Breaking into a smile, she approached them slowly, clucking her tongue and holding out her hand. The marble gray pressed his velvety nose to her palm and inhaled. 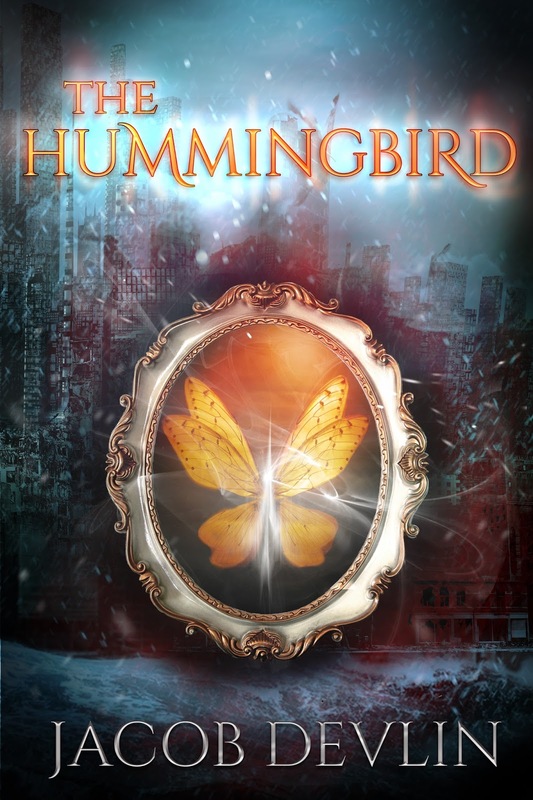 “Hello, Phrym,” she crooned, scratching his forehead as he rumbled deep in his chest. Careful not to dally too long with the horses, Denaeh turned and started rummaging through the packs. It was horribly invasive of her, but she was hoping to find something, anything, to reveal the identity of the powerful mage. The first pack she went through held dried food items, the second, clothing. Shirts and vests and pants Denaeh judged to be Jahrra’s. The third bag contained tools and utensils used to prepare and cook camp meals. Frustrated but undeterred, Denaeh turned back to the horses. Their saddlebags were piled nearby along with some larger cases the pack horse must carry. Swiftly, Denaeh rifled through those as well, finding spare weapons, more spare clothes (including some fine dresses that must belong to Jahrra), as well as more extra food. She moved onto the saddlebags, aware of the time draining by. If she didn’t wish to be discovered this day, she had to move fast. The first set of saddlebags were Jahrra’s. They held some leather-bound journals full of her sketches of animals and plants, as well as other small treasures. She swiftly moved through the others. Finally, Denaeh picked up the last set of bags, taking only a brief moment to appreciate the intricate design worked into the leather. She unsnapped the button and something solid and rectangular fell free, nearly crashing upon her toes. Curious, she set the bags aside and lifted an age-stained, wooden box. 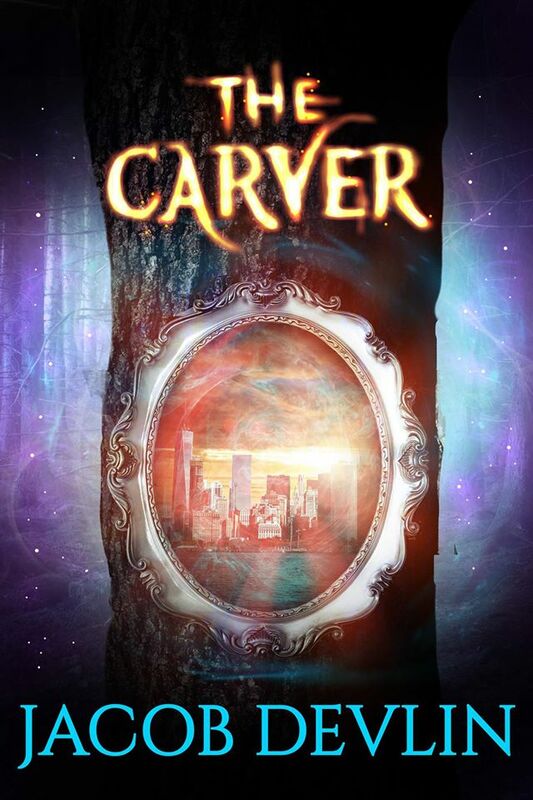 The Mystic brushed her fingers over the carved pattern, her nerves prickling a little. There was something terribly familiar about this box, but she couldn’t say what. A small golden hook looped through a metal latch kept it tightly shut. With deft fingers, she flicked the clasp open and carefully lifted the lid. The hinges creaked a little, but not so much to cause alarm. What was inside the box, however, stunned her. Astral cards, and not a false set. As she picked them up, gingerly shuffling the beautifully painted cards between her hands, she realized the magnitude of this find. These were real Astral cards, at least two or three centuries old. Maybe older. As she gazed upon them in awe, drinking in the rich artwork, she noticed a small mark in the bottom left corner of each of the inner faces of the set. She narrowed her eyes, then felt her heart kick up its pace as recognition pulsed through her, along with an ancient, zinging current of magic. Very familiar magic. 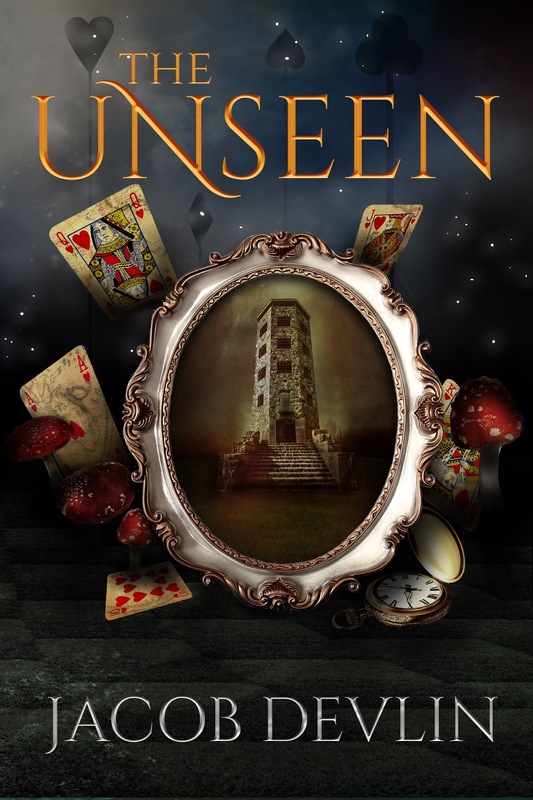 She dropped the deck, both hands flying to her mouth as her eyes widened in astonishment. She knew these cards. She knew them. Not just a very fine set of old Astral cards, but a gift bestowed upon someone a long time ago. A gift both to show a deep appreciation for the intended as well as a way to convey an even deeper regret. She fell to her hands and knees, frantically raking her fingers through the leaves in search of the box and its spilled contents. Memories and emotions spun in Denaeh’s mind, but before she could calm her whirling thoughts long enough to consider what this all meant, before she could grasp one of those frantic memories and pin it in place to study it more closely, she was interrupted. The familiar creak of a bowstring being drawn taut was the only warning that she was no longer alone. Instantly, her every movement stilled, the hands pushing aside the leaf litter below halting to a stop. Even her slow breaths came to a standstill as her heart pounded against her ribcage. How had she been so easily caught off guard? 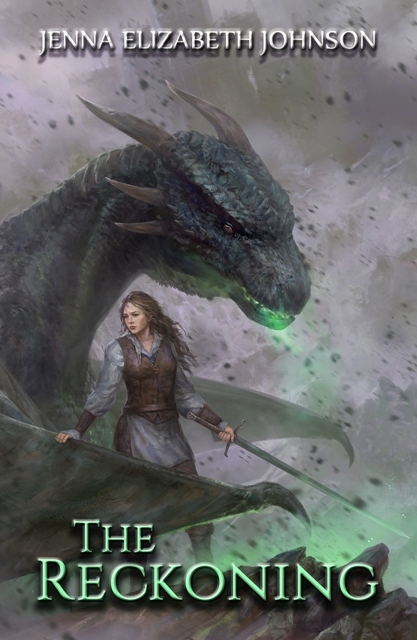 Her magic was unfurled, giving her input from at least a half mile in every direction, aided by the powerful mage diamond tucked into one of the hidden pockets of her bodice. Yet, somehow this person had gotten the better of her. So Denaeh waited, her heart pounding in her ears, as the archer made up his or her mind whether or not to let their deadly arrow fly. 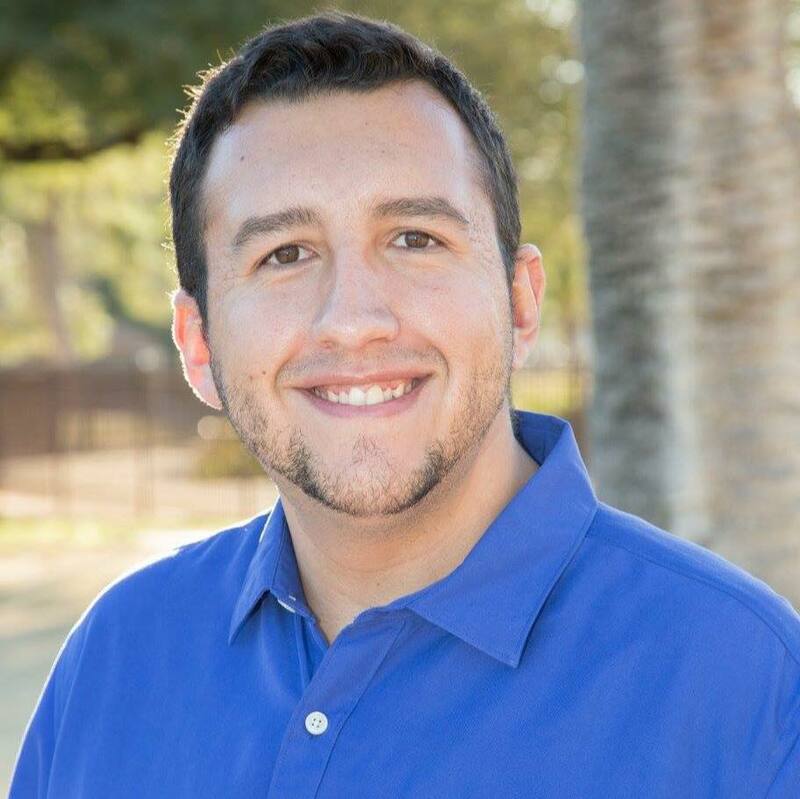 Look for more snippets and quotes in the coming weeks and months on my Facebook page!